Xuanzang should be known as one of the world's great heroes. His travels are legendary. He brought true Buddhism to China. His own book provides a unique record of the history and culture of his time. Yet he is unknown to most of us and even to most Chinese. Sun Shuyun, herself brought up in China, was determined to follow in his footsteps, discover more about Xuanzang and restore his fame. So she retraced his journey from China to India and back. In the 8th century, crossing 110 kingdoms, he took 18 years. He opened up the east and west of Asia to each other - and to us. ;A man of great faith and determination, Xuanzang won the hearts of kings and robbers with his teaching, his charm and his indomitable will. Against all odds he persuaded the Confucian emperors to allow Buddhism to flourish in China. 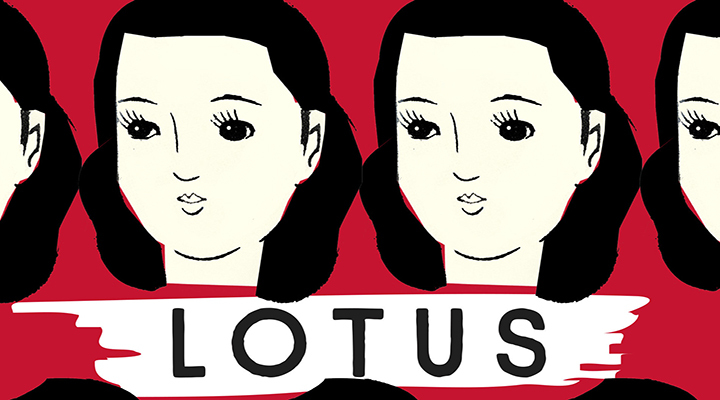 ;At the heart of this book lies Sun Shuyun's own personal journey towards understanding the Buddhist faith of her grandmother, recognizing also the passionate idealism of the communist beliefs of her own family and discovering her own beliefs. 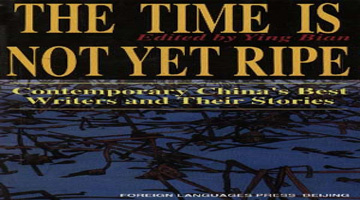 Join our monthly book chat on the legends & thoughts of the Chinese woman. 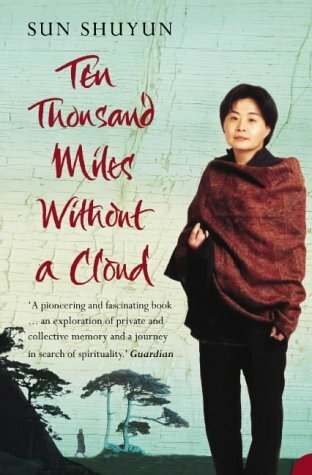 Ten Thousand Miles Without a Cloud is the story of one woman's journey from her native China through central Asia to India and back. She follows (as far as possible) in the footsteps of the seventh-century Chinese Buddhist monk Xuanzang (or Hsuan Tsang), whose 16,000-mile journey to learn the secrets of Buddhism from Indian Buddhist masters and texts, and to visit Buddhist sacred sites, took him 18 years. Sun Shuyun was brought up - in her own words, successfully indoctrinated - as a communist and lived through the worst excesses of the Cultural Revolution. Her description of this part of her life, which comprises the first chapter, is one of the most fascinating in the book. Her parents were staunch communists, but her grandmother maintained her faith in Kuan Yin and Amitabha, and her practice of reciting mantras, until her death in 1992 - despite disapproval, contempt and even persecution. Sun Shuyun's grandmother had rescued, from a pile of items ransacked by the Red Guard and left for burning, The Monkey King. This fairytale version of Xuanzang's journey was extremely popular in China, and the book became a childhood favourite of the author. As an adult, she witnessed the disillusionment of her father and his comrades, suffering in the spiritual vacuum and consumerism that swept through China. She determined to make the same journey in 1999, inspired by the wish to learn more of the faith that had sustained her grandmother through many difficulties, and of her childhood hero Xuanzang through his incredible journey. Sun Shuyun's book is a travelogue with a difference - a Buddhist theme, inner and outer. On the one hand there is simply the drama of her journey itself - for example, having to be escorted by armed guards in Peshawar and being caught in the midst of a Muslim uprising in Western China. These are interwoven with brief details of some of Xuanzang's own adventures. Also belonging to the outer journey are moving descriptions of Buddhist places of pilgrimage, Buddhist images and meetings with Buddhist practitioners. On the other hand there is the inner journey: the author's encounters with different 'versions' of the Buddha's teaching, and her struggle to come to terms with, for example, the teachings of the Yogacara which had so inspired Xuanzang (who studied with Shilabhadra at Nalanda) and which had ultimately led, on his return to China, to an unprecedented Buddhist revival there. The book offers a wealth of fascinating detail; necessarily more about the author's own journey than the one undertaken by Xuanzang, but enough glimpses are given of the man and his story to inspire us to investigate the original texts, in particular Xuanzang's Record of the Western Regions. A reader will definitely finish the book, as the author does, with an enhanced sense of 'the size of the man and his achievements'.